Some say that Ellicott City is one of the most haunted cities in America. Take one of the tours below to find out for yourself. Guides will lead you through the Historic District while sharing stories of paranormal activities, both past and present, associated with sites in town. Part I runs on Fridays and covers the most historic of hauntings, while Part II runs on Saturdays and includes the more recent eye-witness accounts of the supernatural. 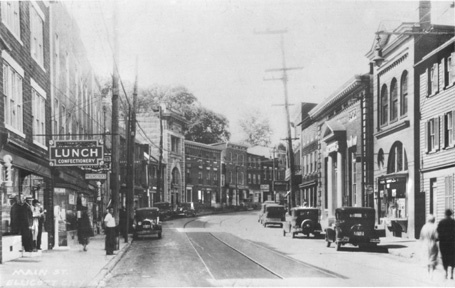 A third tour, Spirits of Ellicott City Ghost Tours, is held on the second Thursday of each month at 8:00 pm. Visit four taverns where you can drink a beverage while you listen to your guide tell stories of the unexplained that took place within that very establishment. Fridays and Saturdays at 8:30 pm. $13; $11 for children 12 & under, seniors and active military personnel. Not recommended for children under 6 years old. Click here to learn about the Ghost Tours of Historic Frederick.